Riot Rocket: Tim Burton Releases "Things You Think About In A Bar"
Tim Burton Releases "Things You Think About In A Bar"
Tim Burton and Steeles Publishing have just released Burton's latest literary effort, or visual portfolio rather of doodles and thoughts. 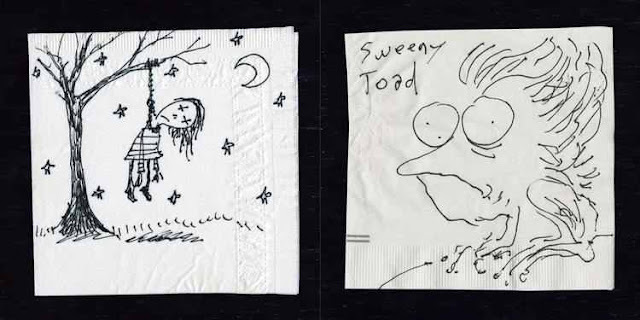 Being called the mini companion to "The Art Of Tim Burton," This offering takes a different approach in terms of presentation and concept compared to TaoTB. This 6"×6" book is comprised completely of art doodles and thoughts on napkins found in hotel bars, coffee shops and restaurants. 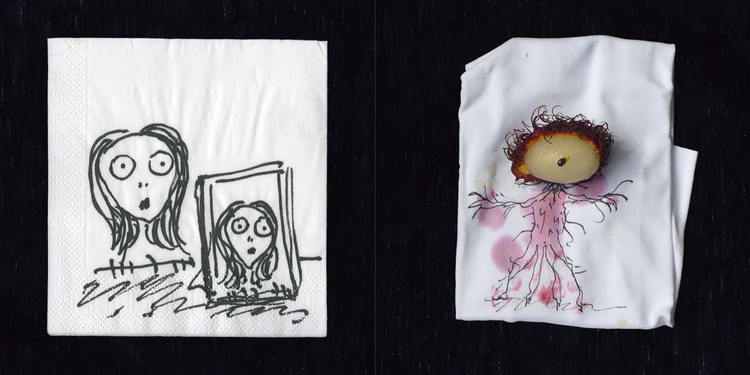 "Things You Think About In A Bar: The Napkin Art Of Tim Burton" is a brief, candid look into a travelling artistic mind and showcases simplistic imagery that is both whimsical and dark that Burton has perfected so well. 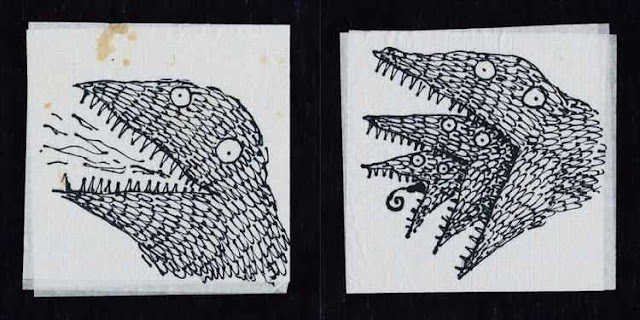 Measuring 6 x 6 inches, printed on 157 GSM matte paper at 140 pages with two pull outs complete with a silver foil stamped black cloth cover. 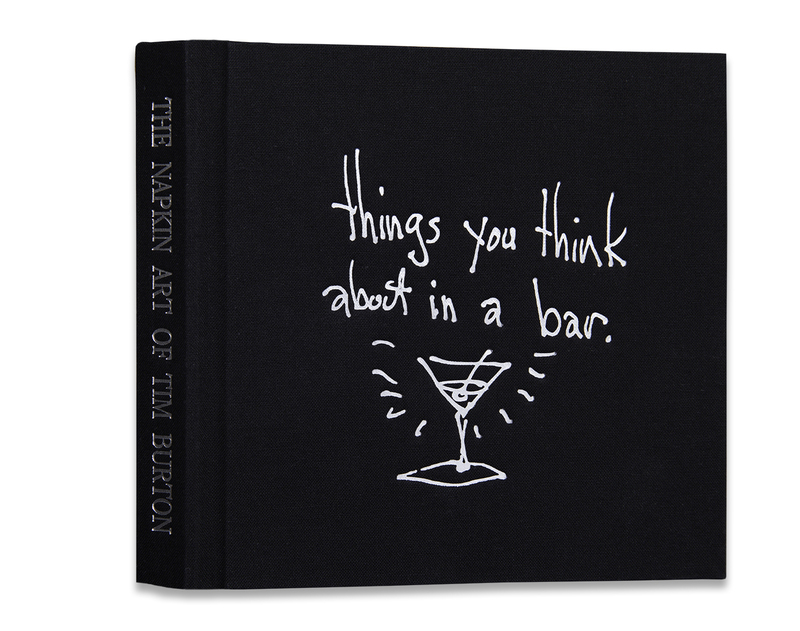 "Things You Think About In A Bar" can be purchased exclusively through Steeles Publishing here.